Extraordinary people come into the lives of others and create a profound impact. Janet Tall is one of them. Her unassuming demeanor lends to her trustworthiness and positive energy. She is a rock star mompreneur, who is the mother of two children, ages 5 and 7. Not only is she a partner of a nursing company that practices concierge medicine, but she also owns a financial education and service business! 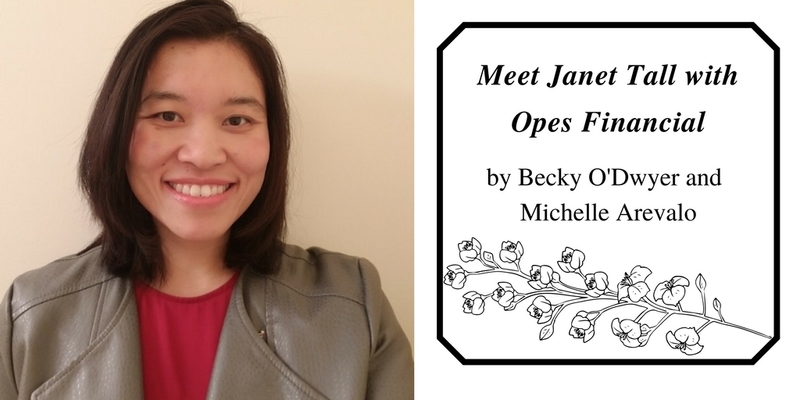 We had the chance to chat with Janet and get to know a little more about what she does, how she got there, and what makes her a great mompreneur! Her nursing background had given Janet the opportunity to directly help people, but so does her Financial Education and Services business. Opes Financial Services offers obtainable financial solutions to families and individuals of all walks of life, including, but not limited to 401k, Roth IRA, and Life Insurance. Deanna Elguindy, her mentor from Opes Financial Services, helped show her that she could still use the transferable people skills she had for nursing to build something for herself instead of for someone else. Janet’s favorite part of owning her own business are all of the interesting and inspiring people she gets the opportunity to meet. She feels that if she hadn’t gone into business for herself two years ago, she would have not met so many amazing people and built so many wonderful friendships. She also said that if she hadn’t gone into business for herself she may not have met the members of Playdate Connection including myself. Janet feels that we form a tribe of very strong women where we support each other through not just business, but life outside of that too! Janet’s biggest personal challenge in the day is one that I can easily relate to. There just aren’t always enough hours to get everything you want to be done each day. This is especially true when it comes to being a mompreneur and you are trying to grab enough time for both running your business and family. When I asked her how she managed family and work, she simply replied that she just goes with the flow and tries to prioritize as much as she can each day. Janet doesn’t get much free time just for her. She squeezes in meditation every morning before the kids are awake and once a year she tries to go on a solo travel trip. I think she’s on the right track! We could all use a little alone time. So what does she do with the family for fun? She loves to head to the beach and each year she tries to get a membership to a museum. It’s something fun and educational for the kids!